Jaco Aerospace and Industrial is your one stop resource for 3M(TM) 3051 Ground Cord Assembly and all of your 3M Products, Tapes, aerospace and industrial needs. 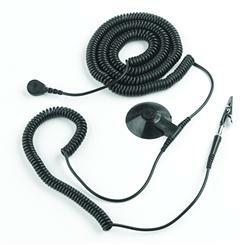 SKU Marketplace Product Description: Ground cord with center snap for standard field service kits. Wrist strap cord section 10 ft. (3.0 m) and ground cord section 5 ft. (1.5 m). Each contains a one megohm resistor.